Healthy Now and Later: As Grandpa said, "What was once wet is now dry, and what was dry now leaks"
As Grandpa said, "What was once wet is now dry, and what was dry now leaks"
Although this may seem like an uncanny expression of the decline of the human body, there is a silver lining. Between ears that don't hear as well, nose sensors that seem blunted, and aches that just don't want to move to their next victim, I am happy to report one thing baby boomers may find they do as well as well as ever: urination. In fact, not only are they still doing it, they might be doing it more often than ever. Now that the kids are grown up, it may surprise you that you are now the one asking to pull over for a pit stop. Although you have trained your kids well, this simply just means that they may have better kidneys, said Dr. Sharon A. Brangman, a professor of medicine at SUNY Upstate Medical University. People may urinate more as they get older for multiple reasons, including medical problems like diabetes or high blood pressure. Some medicines can be the cause as well. However, it may also be a sign of infection; “That’s often the first thing we look at when people complain of frequent urination,” said Dr. Tomas Griebling, vice chairman of urology at the University of Kansas and a spokesman for the American Urological Association. Getting older, Dr. Griebling pointed out, does not necessarily mean more trips to the restroom. Although many people do notice that they have to go more often, the explanation usually lies with the normal changes of the body. As people age, their kidneys may become less proficient at concentrating urine and therefore may draw in more water from elsewhere in the body. This means more urine is produced and sent on to the bladder which, as it happens, may be losing some of its ability to stretch. The urethra, the pathway through which the urine exits, may also be shortening and its lining thinning. Adding to the problem is that with age our bodies produce less of a hormone called aldosterone, that help retain fluid. In women, estrogen levels may also drop, a change associated with increased urination. As for men, the prostate may become bigger making it harder to urinate. 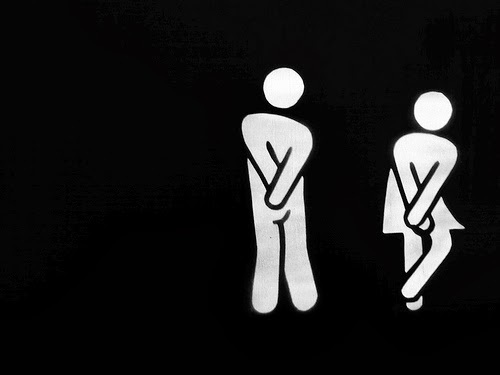 Increased urination knows no time of day, but people seem to notice it more at night due to the inconvenience. In fact, the National Sleep Foundation surveyed people ages 55 to 84, and found that two-thirds of them lost sleep at least a few times a week because of the problem. On the up side, talking with your doctor about your increased pit stops may lead to finding an easy fix or get you a stamp for a normal bill of health.